In 2011, Nuno and his fellow co-founders created Feedzai to fight financial fraud with advanced machine learning technology. Fast forward to today, Nuno has been named an Entrepreneur of the Year by London Business School, shared a stage with tech leaders such as Stephen Hawking and Richard Branson, and has driven Feedzai's global growth. Under Nuno's leadership, Feedzai has raised more than $82 million in venture funding, has grown to more than 400 employees, and keeps commerce safe for many of the leading banks, merchants, and payment processors around the globe. 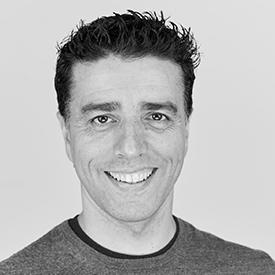 Before Feedzai, Nuno was an engineer for the European Space Agency, and led several other successful technology startups.